The ASAP team (Americans Serving Abroad Project) in Ghana in spring 2013. 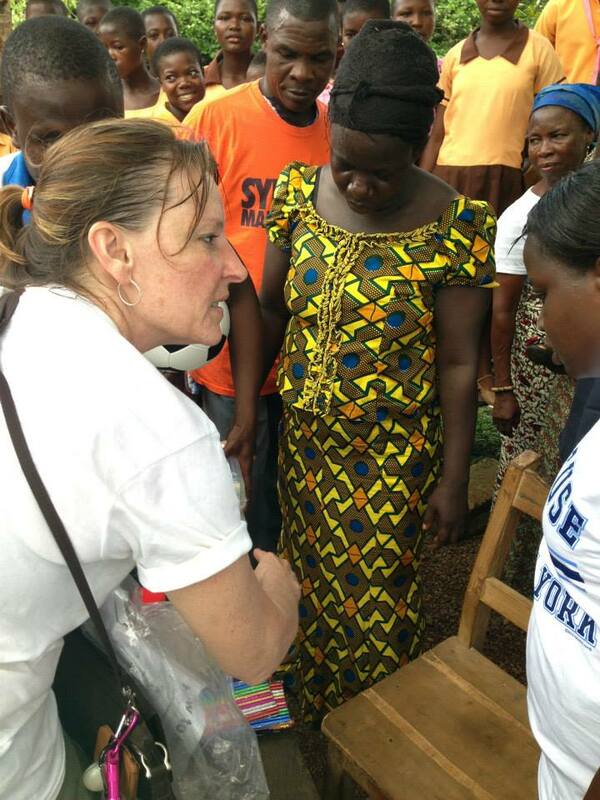 Nurse Lauri Rupracht in Ghana. That day came when her children were grown. 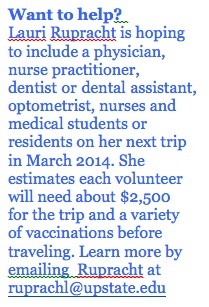 Now Rupracht, 51, is organizing her third trip in as many years to the rural villages of Ghana. She says it is a safe and peaceful country with a high poverty level. “The country has so much potential,” she says. 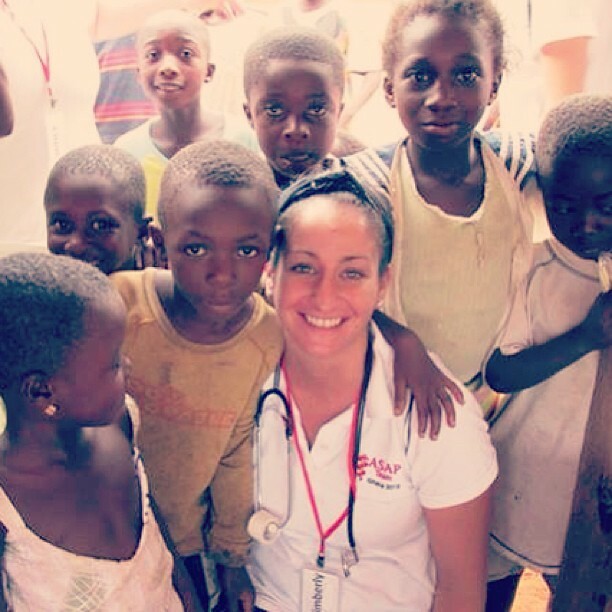 Nurse Kim Vuocolo in Ghana. Vuocolo, 28, an oncology nurse, says in addition to providing health care to 1,470 people, the group delivered school supplies and sneakers to some orphanages and schools. They also managed some tourist side trips. The volunteers provide first aid, blood pressure and diabetes screening to patients who would otherwise have to walk for hours for care. Patients with problems that require follow-up are directed to a hospital. 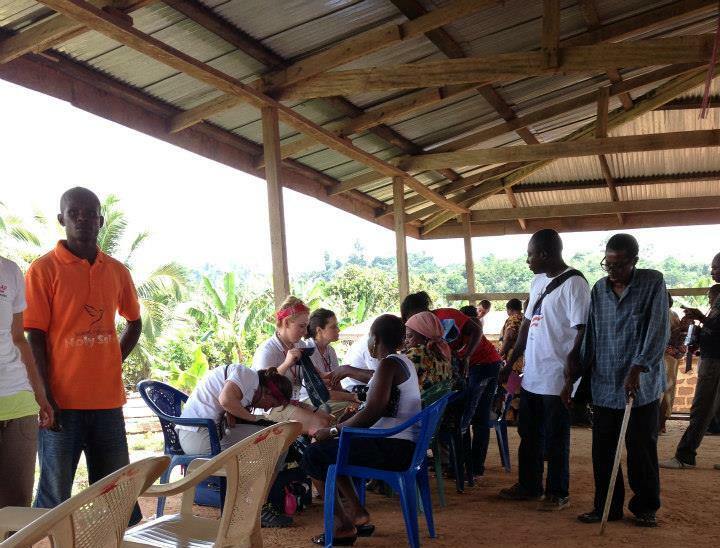 The ASAP group partners with the nonprofit ElGhana, which helps arrange the clinics, lodging and transportation between villages. This entry was posted in community, nursing, volunteers and tagged academic medical center, africa, health care blog, health care social media, hospital blog, hospital social media, medical blog, medical mission, SUNY, syracuse health care, syracuse hospital, university hospital, upstate medical, upstate university. Bookmark the permalink.